On June 25th, 2018, three members of our team at Regenerative Design Group will embark on a 9-day Youth Green Stewardship Expedition (YGSE) with 13 interns in the urban wilds of Springfield, Massachusetts to explore what lies beyond the typical ecological and agricultural territory of regenerative design. If you’re familiar with RDG, you know that we specialize in the planning and design of productive landscapes. 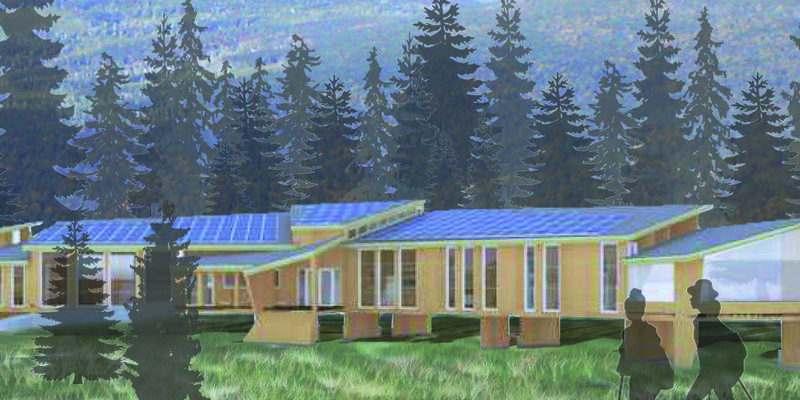 Through our work on urban farms, homesteads, ecological estates, and resilient campuses, we create productive green infrastructure using strategies from conservation biology, permaculture, agroforestry, and sustainable landscape architecture. In many of our projects you will find a restoration component such as the stabilization of an eroding slope, the enhancement of a wetland area, or the establishment of a stream-side productive buffer. With some of our clients, we’ve explored how productive landscapes can build resiliency by creating equitable livelihoods and working for climate justice. 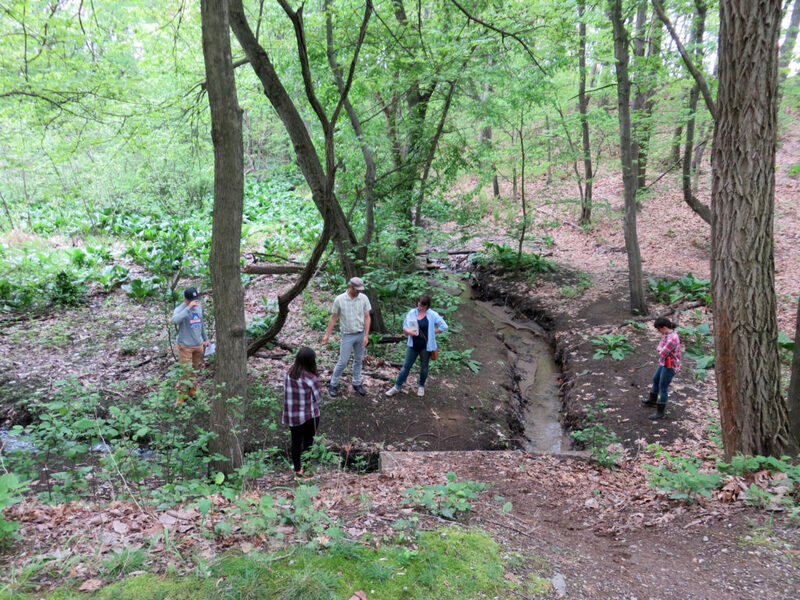 But with the YGSE, our team will delve deeper into eco-cultural restoration — or, in this case, how stream restoration intersects with conversations about power, privilege, influence, and agency in New England’s fifth largest city. This project is funded by the National Fish and Wildlife Foundation Five Star & Urban Waters Restoration Grant, which supports efforts focused on community stewardship of local natural resources through diverse partnerships and outreach. We’ve been honored to be part of Sustainable Springfield (SSP), a partnership uniting, among others, ReGreen Springfield, The Springfield Renaissance High School, U.S. Fish and Wildlife Service, Mount Holyoke College, and the Springfield Museums. Together, this coalition has spearheaded restoration and education efforts at Springfield’s Abbey Brook Conservation Area since 2015. Taking a winter walk in the ABCA to brainstorm restoration projects. 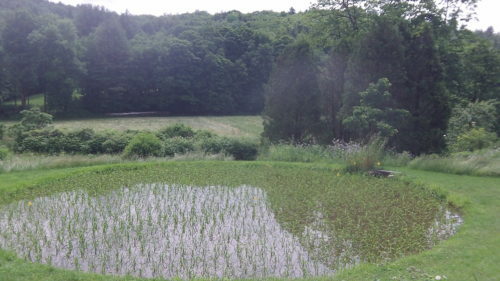 The Abbey Brook Conservation Area (ABCA) and its associated forested drainage is a 4.2-acre stream system in Springfield. The brook is a tributary of the Chicopee River, which flows to the Connecticut River. 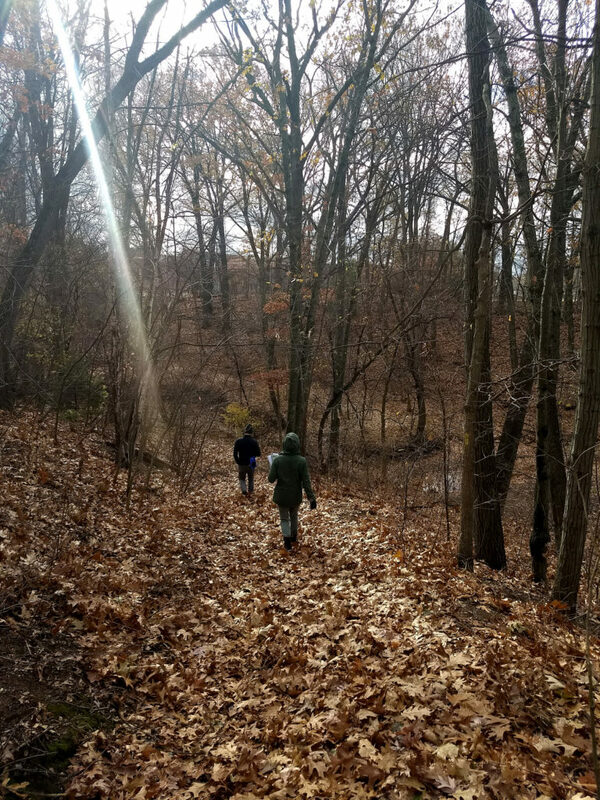 The Springfield Renaissance High School, located adjacent to ABCA, uses the area as an exploratory classroom in their science curriculum, and a network of hiking trails is open to the public. In July of 2017, over 100 people came together to identify and inventory the biology of ABCA. The “BioBlitz” recorded many native woody and herbaceous plants, birds, reptiles, amphibians, and macroinvertebrates. However, despite its’ ecological and community significance, Abbey Brook suffers from impacts typical of urban streams: uncontrolled storm water inputs, stream bank erosion, simplified instream structure, invasive plants, and litter. An overview of the proposed Gateway + Habitat restoration – one of three projects we’ll be implementing during the YGSE. The SSP has developed a multi-pronged approach for restoring the watershed that involves academic programs, community events, and hands-on work. 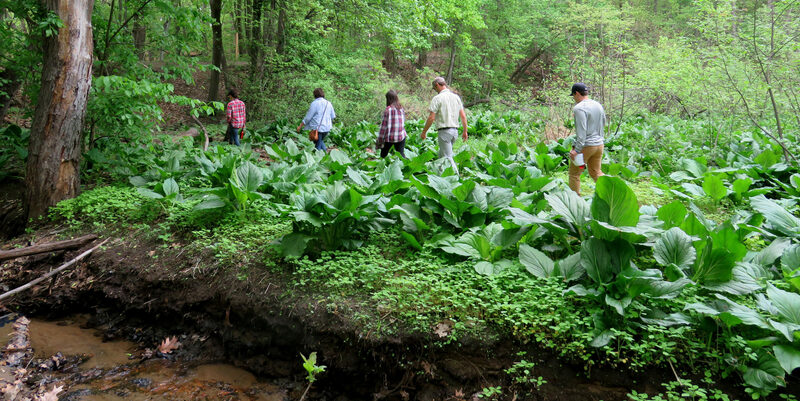 RDG’s role has been to design three restoration projects and the Youth Green Stewardship Expedition (YGSE) — a 9-day immersive eco-cultural restoration program for high school and college interns. Throughout the YGSE, which centers around the implementation of upland, trail, and in-stream restoration projects, interns will develop their understanding of healthy watershed dynamics, learn to read patterns in the landscape, participate in design activities, discuss ideas of place, and explore placemaking strategies. Orienting college interns to the site of the “Wetland Classroom” restoration. 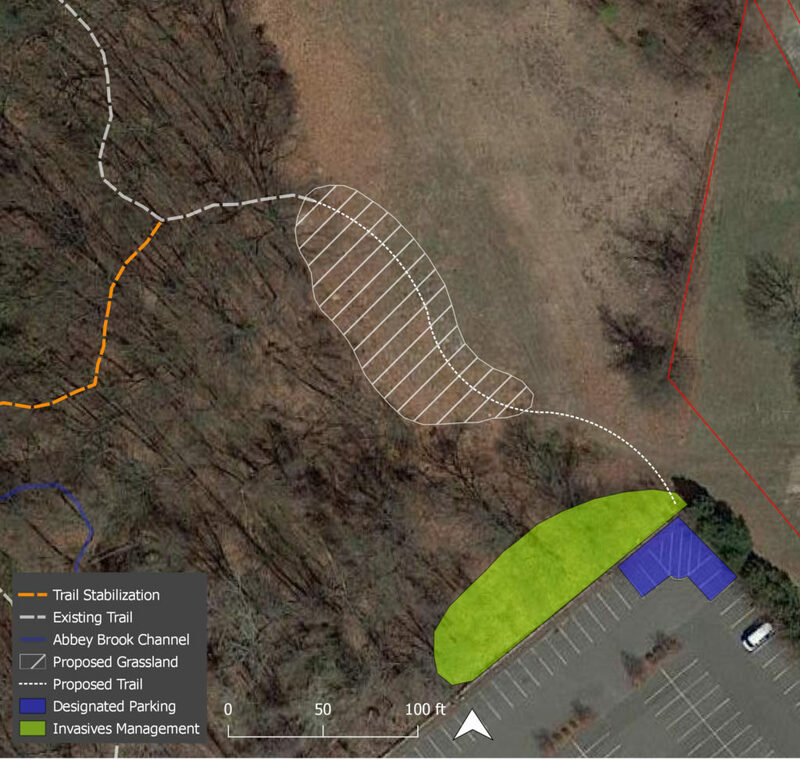 This project will stabilize the water level of the wetland, support habitat, and create a safe and legible outdoor learning space for students. Our team of interns, most of whom live in Springfield, is in place. We’ll also be welcoming a group of three interns from Chicago, as part of a skill-sharing exchange between the Sweet Water Foundation and Gardeneers, two visionary organizations that do environmental and social justice work. We’re all excited to get to work and learn from one another!